Chicha is an ancient and meaningful drink to many South Americans in the Andes. Some of the earliest versions of chicha drinks, however, are thought to have come from the Kuna, an indigenous group that lives in Panama and Colombia. “Chicha” is thought to come from the Kuna word chichab, meaning corn. However, the Kuna word for their maize beer is inna. Inna had an array of uses for the Kuna people, initially starting out as a ritualistic drink young girls consumed to become women. 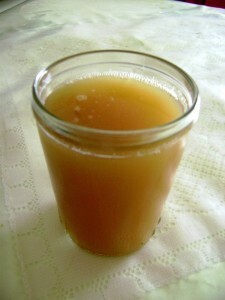 Chicha is not a single, homogenized drink; there are variations endemic to each region, country, and group. Also, traditional chicha can be made with different ingredients other than maize, including manioc (cassava), wild fruits, cacti, and potatoes. Around 5000 B.C., there is evidence of early pottery in Andean region. Archaeologists that study the sites say that the vessels were likely used to carry and store chicha. The drink is also important for social aspects – like cacao, chicha became a cultural signifier for many Andean groups. It inspired songs, rituals, festivals, and eventual social division. Commonly, chicha is made my chewing maize and spitting it back out into a container. Traditionally, brewers used the natural enzymes from their saliva to convert the high starch content of maize into maltose (sugar). Then, the chewed up corn is boiled or cooked and then strained. 2. Sherzer, Joel. Stories, Myths, Chants, and Songs of the Kuna Indians. Austin: University of Texas Press, 2003. Print. Introduction – What is Chicha?